New facility branded as “iNGENIUM” at Kizad, will deliver precision automated engineering and fabrication for the regional oil & gas sector. 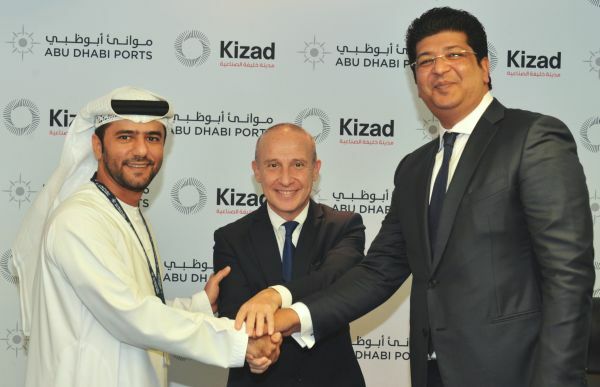 Abu Dhabi, UAE: Abu Dhabi Ports has welcomed SIDDCO Group’s latest venture iNGENIUM to Khalifa Port’s industrial zone (Kizad) as its latest investor. The AED 130 million Musataha Agreement was signed by Mohamed Juma Al Shamisi, CEO Abu Dhabi Ports, and Mr. Zakee Siddiqi, Chairman & CEO SIDDCO Group, under the patronage of H.E. Giorgio Starace, Italian Ambassador to the UAE, H.E Umberto Bernardo, Deputy Italian Ambassador to the UAE, and in the presence of notable guests, Mr. Stefano Pinca, Middle East Project Manager for the Italian Institute of Welding, and Mr. Marco Ferioli, Head of MENA Region for SACE, among other dignitaries. iNGENIUM, a subsidiary of SIDDCO Group, will set-up a state of the art facility in Kizad, envisaged to generate more than a million man-hours per annum, with a fully automated production plant utilising cutting-edge Italian technology to manufacture intricate equipment in various formats and metallurgies. Commenting on the signing ceremony, H.E. Giorgio Starace, Italian Ambassador to the UAE congratulated SIDDCO by saying that this Musataha agreement is indeed “another prominent example of what the ‘strategic partnership’ between Italy and the UAE means: the excellence of Italian machinery coupled with Abu Dhabi Ports’ technologically advanced Khalifa Port and state-of-the-art industrial zone, along with SIDDCO’s superb management to the mutual benefit of Italian and UAE economic and industrial growth”. “Continuous growth in the oil and gas sector has led to the demand for companies like iNGENIUM to establish manufacturing facilities in the region. The supply chain efficiencies offered by Khalifa Port and its industrial zone as well as its exceptional infrastructure and transportation network will make a significant difference to iNGENIUM’s business operations. The new facility will cater to the oil and gas industry’s growth and create business opportunities and jobs in the Emirate, directly supporting the diversification of our nation’s economy” said Mohamed Juma Al Shamisi, CEO, Abu Dhabi Ports. There is a growing need for the engineering and fabrication of storage tanks, pressure vessels, heat exchangers and modular equipment. “Most of this equipment is currently manufactured internationally – which incurs associated lead times, transport and labour costs. By setting up our new facility iNGENIUM in Abu Dhabi, it will act as a facilitator for such projects to be carried out in the MENA region instead” he added.